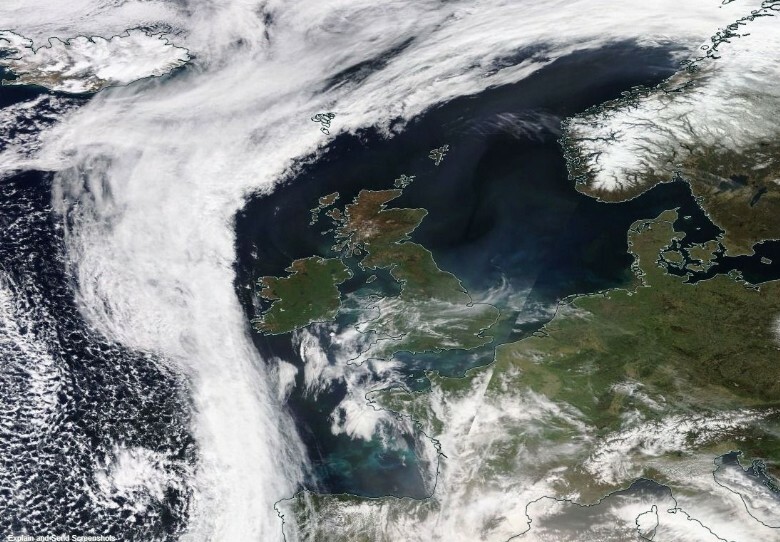 Metcheck.com - Storm Forecast Discussions - Weekly Storm Forecast - From 11 August 2018 - Expert Meteorologists Analyse Storm and Convective Forecasts For Countries Around The World. 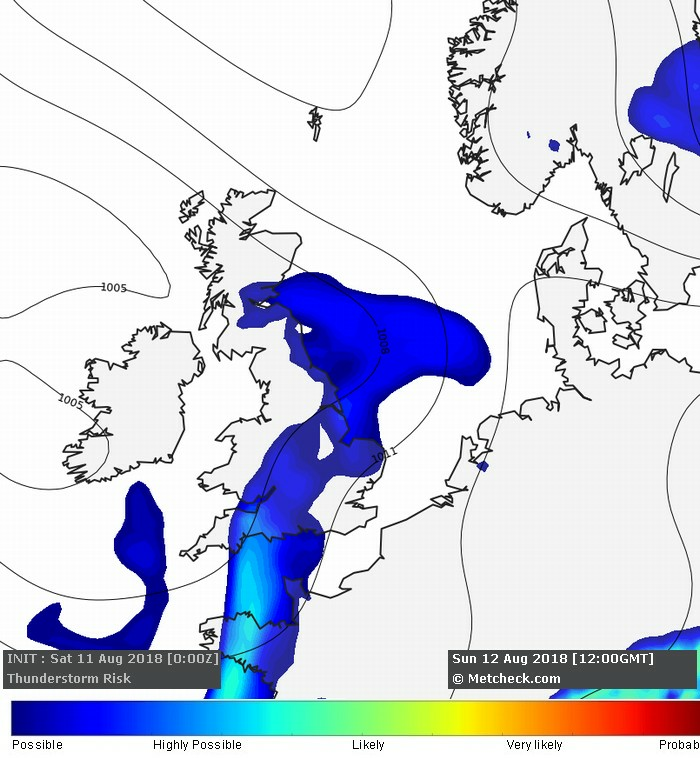 Some scattered, heavy thunderstorms possible across parts of the West Midlands, Southwest and Northwest England on Sunday afternoon following the clearance of the cold front to the East. Hail and cloud to ground lightning are possible. 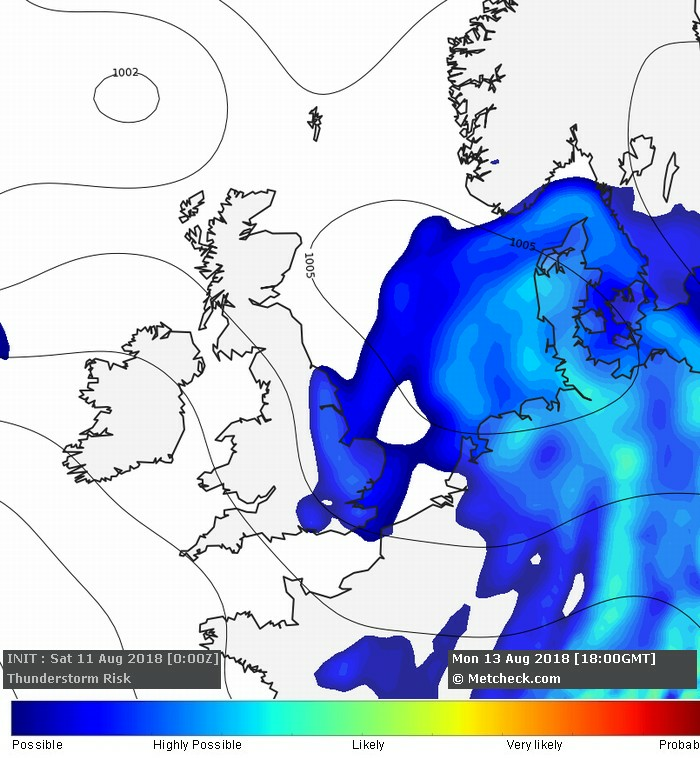 Low/Moderate risk of thunderstorms across parts of Northeast and Eastern England on Monday afternoon. 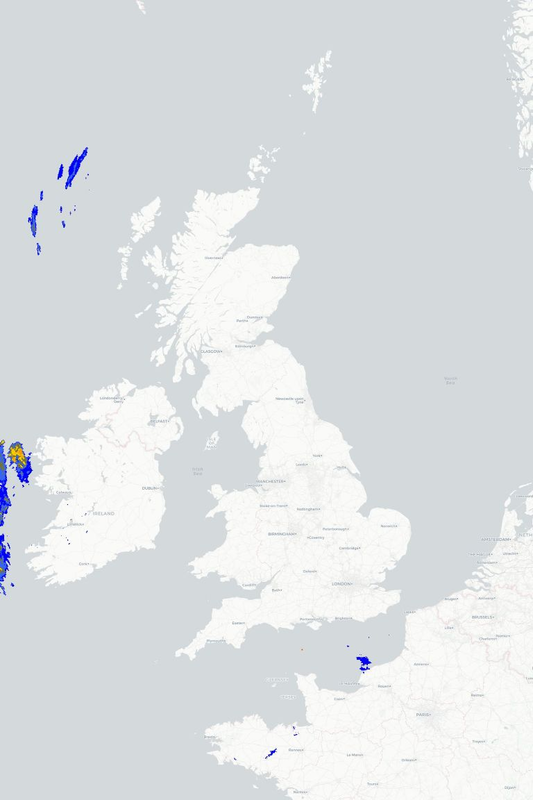 These systems will be well scattered with showers the more likely outcome, but upper air temperatures are conducive to a few of these developing into thunderstorms. 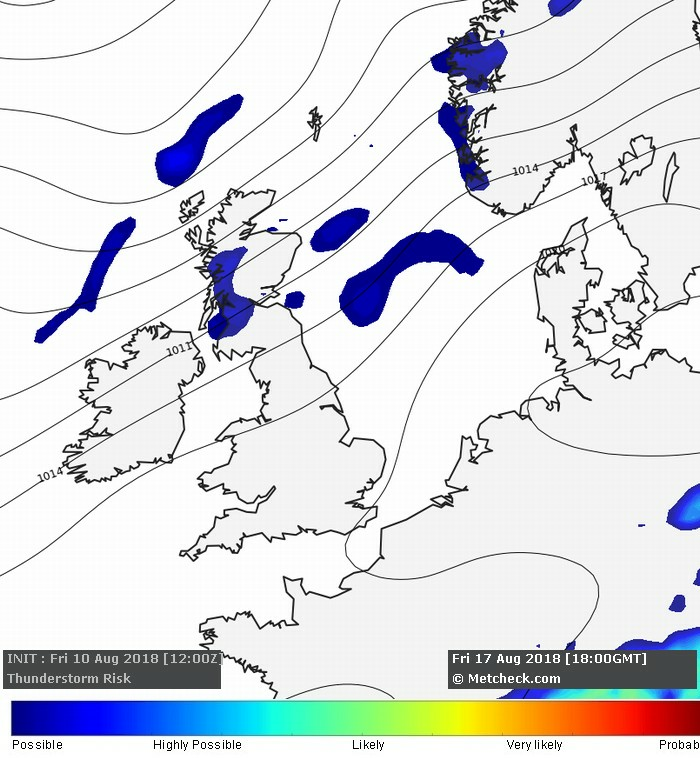 Low risk of scattered thunderstorms across parts of Northwest Scotland on Friday in a cool, moist airflow with showers coming in from the Atlantic. 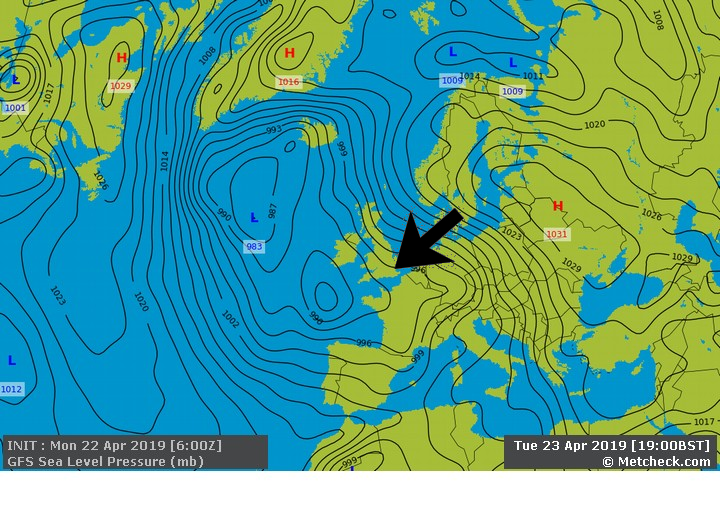 Elsewhere, thunderstorms are not expected across the British Isles over the next seven days.